Are you concerned about cooking oils that contain GMO’s and other unhealthy ingredients? Even olive oil, one of the best oils for consumption, is inconsistent in quality according to recent news. Coconut oil, another healthy fat, is becoming more and more expensive as it rises in popularity. Besides, olives and coconuts don’t grow in my part of the world. Lard and tallow were the fats our ancestors used for cooking. Both were easily obtainable and easy to store. However, both have largely fallen out of favor in recent years and have been replaced by vegetable oils because manufacturers have convinced us that animal fats are unhealthy. Contrary to this popular opinion, the fat from healthy, grass-fed animals is good for us. Lard has less saturated fat than butter, is a good source of healthy cholesterol, and unlike shortening, has no trans-fat. Beef tallow is an excellent source of Vitamin A, D, E and K, and has a high level of Omega-3 fatty acids which are necessary for good health. Tallow is also rich in antioxidants and has a high level of conjugated linoleic acid (CLA) which has been shown to reduce heart disease and cancer risk. Tallow and lard are two of the top three healthy fats used in the Paleo and Primal diets. If you raise your own meat animals, you have a reliable source of grass-fed fat right in your own pasture. You’re probably already using as much of the animal as possible; it only makes sense to render the fat and make use of it in your kitchen. If you need to source fat from elsewhere, call your local butcher or meat processor and ask for grass-fed fat. Not all processors will sell fat, but if you’re persistent and willing to travel, you’ll eventually find one who will. One of our local butchers gives me beef fat in return for some of my homemade soap. What is the Difference Between Lard and Tallow? Lard and tallow are both processed animal fats. Lard is processed, or rendered, from pig fat, while tallow is processed from suet, which is the fat of cattle, sheep, deer and other animals. Both lard and tallow are solid at room temperature, and both are processed in the same manner. Lard is softer than tallow, and usually more mild in flavor. Tallow and lard were staples in our grandmothers’ kitchens, used in biscuit and pie crust recipes and for frying. Both tallow and lard have a high smoke point so they are ideal for frying. French-fried potatoes deep fried in tallow are crispy on the outside, soft on the inside and especially flavorful. Both are also used in soap making, candle making, and in homemade personal and skin care products. Animal fats are very beneficial to the outside of our bodies as well as the inside. When applied to the skin, tallow is rich in antioxidants that fight the effects of aging, and in vitamins A, D, E and K which nourish our skin. Tallow is easily absorbed into the body and helps to regenerate skin cells. Lard is also an excellent skin moisturizer, although tallow contains a higher concentration of saturated fats which are more easily absorbed into our skin. Handmade soaps containing animal fats last longer than those made with vegetable oils alone, and are very moisturizing and gentle to the skin. 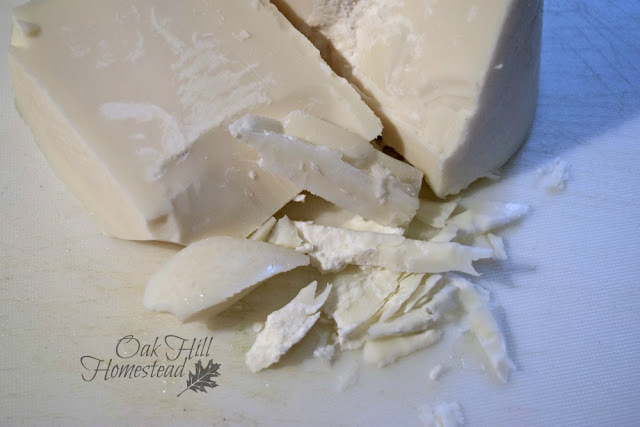 Tallow and lard added to a soap recipe help the soap reach “trace” more quickly, and contribute creamy, stable lather to the finished product. They should be combined with other oils though; soap made solely from tallow or lard may not clean well in cold water. Rendering fat is simple although it’s time-consuming. Tallow and lard are rendered in the same way. There are two methods: dry rendering and wet rendering. In the wet method, water is added to the fat; the dry method uses no added water. Today I’m rendering tallow using the wet method. The pieces of fat are chopped into cubes and pieces so they will melt faster. There is no need to be exact here, just cut it into pieces and dump them into a large pot. Add some water, cover the pot and bring it to a low boil, then simmer for several hours. A too-high temperature will cause the fat to plop and spatter all over the stove, and the hot fat will burn you if you are unlucky enough to be in the way. Although the pot doesn’t need your constant attention, don’t leave it unattended. As the fat melts, ladle the liquid into heat-resistant containers. Eventually the fat remaining in the pot will turn translucent and the liquid will darken. Pour this through a strainer. The fat from this last straining might be darker in color, but it’s just as good as the fat you ladled off earlier. What’s left in the strainer is called the “cracklings.” Some people enjoy eating the cracklings; I give them to the dogs and chickens. Although the tallow is now ready to use, I strain it a second time through a clean cloth to remove any small particles. Let the rendered fat cool and harden overnight in the refrigerator. If you’re like me and don’t have enough room in the refrigerator, you can set the covered pot or bowls in the garage or an unheated mudroom overnight. 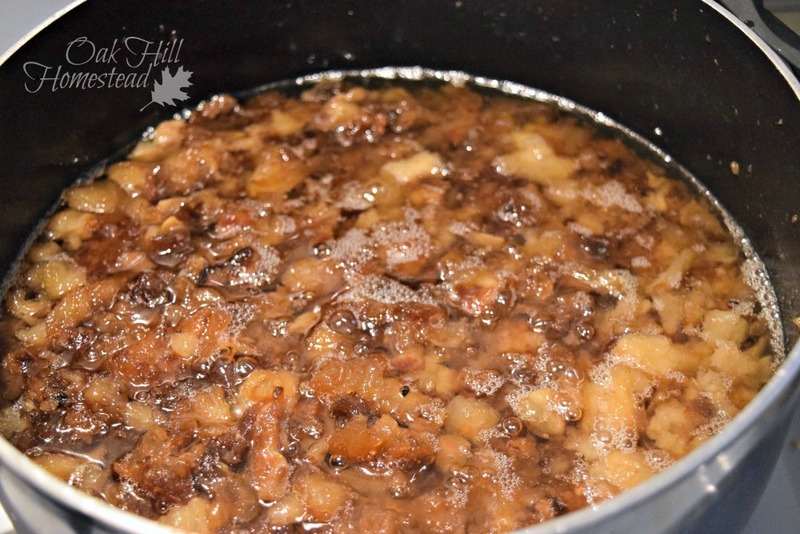 The fat and water separate during the cooling process, and in the morning it’s easy to remove the hardened tallow or lard from the layer of water underneath. If your tallow smells a bit meaty at this point, you can melt it and strain it through a cloth again. This will usually get rid of the odor. Tallow or lard can be stored in the freezer almost indefinitely in freezer-safe containers. 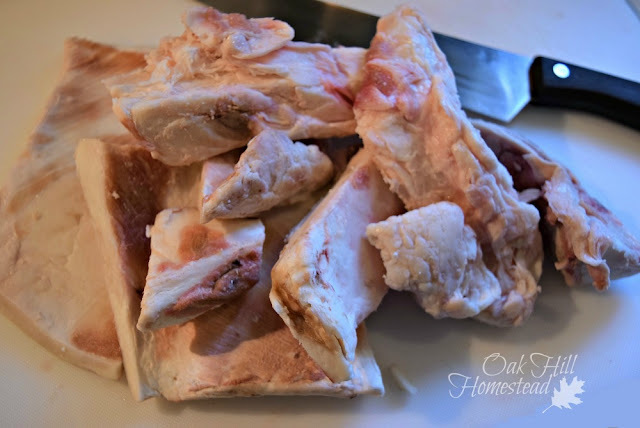 I cut mine into chunks and freeze them in zippered freezer bags so I can remove only the amount I need to use without having to thaw the whole batch. If you use it often, you might prefer to store it in the refrigerator. 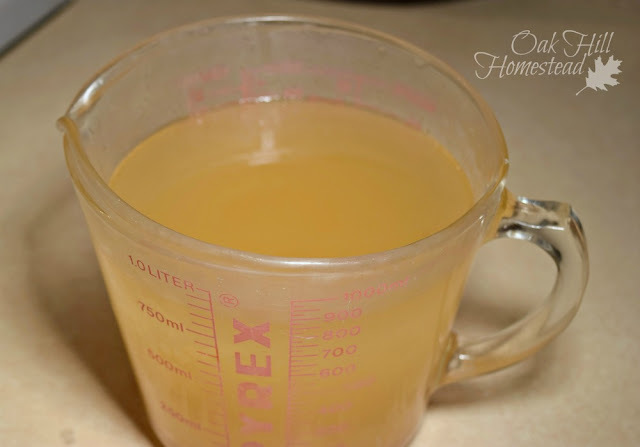 If you render a large quantity at once, you can pour the liquid oil into canning jars and add a lid and ring to the jar while the fat is still very hot. As it cools the lid will seal, and the tallow or lard is safe to keep in this airtight environment, protected from oxidation. Store the jars in a cool, dark cupboard. 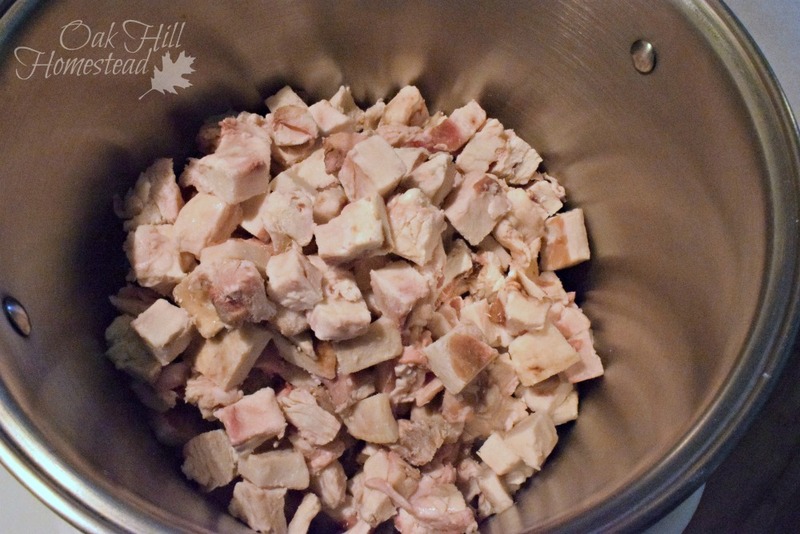 If you open a container of stored tallow or lard and it smells rancid, discard it. Remember when fast food french fries tasted so delicious? Did you know they used to be fried in tallow? The reason they are considered unhealthy now is because they are fried in hydrogenated vegetable oil. Now that you have some good-for-you grass-fed tallow in your kitchen, you can make healthy french fries. Or tallow balm for your skin. Or candles or soap. All of it natural and good for you! Thank you for this information. I have gone to almost total use of only coconut oil but as you say it has increased in cost. I have gotten away from use of lard because of the concern of it being bad for you but remember that it is what my mother used in her cooking and the food did taste so much better. Just remember that grass-fed is best! Oh how I wish I had some tallow & pig fat. The locally sourced grass fed beef were dropped by the farmer because of the drought--no grass or water. Darn. I'll have to check around and see if I can find a butcher shop that carries them. Thank you for the information. Sandy in Calif. I hope you can find some, Sandy. This was a very timely article for me! I've rendered lard for years, but we butchered a sheep this weekend. 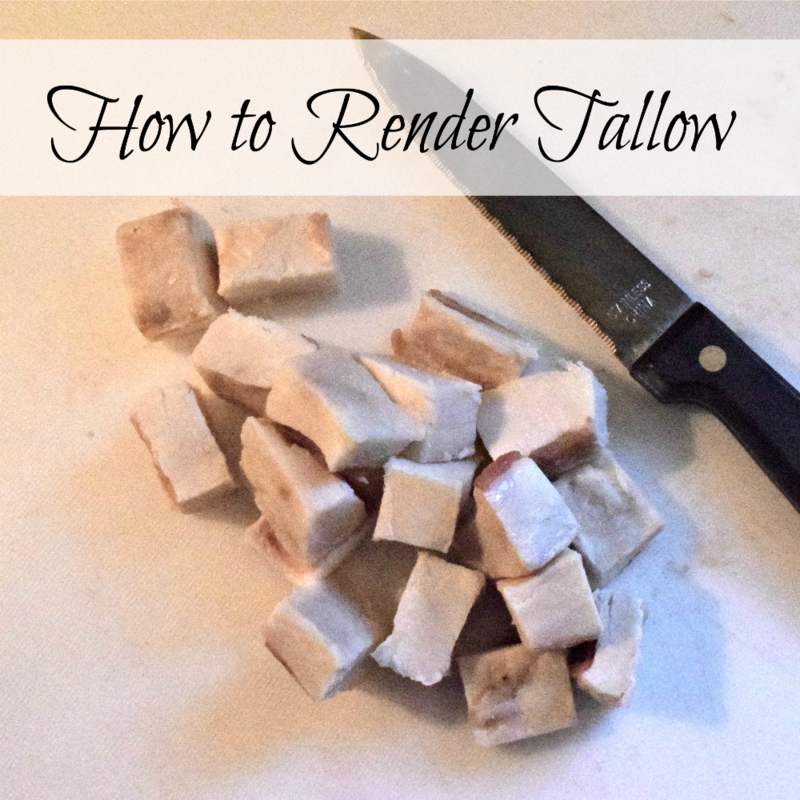 I've never rendered tallow before, and am glad to see that it can me done the same way. I am so fascinated by this process! I'll have to see if I can find a butcher for some fat. I'd love to see a post on the dry rendering! Thanks for sharing on the Waste Less Wednesday Blog Hop! I hope you can find some. I've always used the wet method of rendering but I'll give the dry method a try and pass it on soon.